The Sixth Amendment guarantees a criminal defendant’s right to a “public” trial. The Texas Court of Criminal Appeals recently confronted the question of whether and under what circumstances a criminal defendant may lose that right. Bobby Joe Peyronel was convicted of a criminal offense. During a break in the punishment phase of Peyronel’s trial, an unidentified female supporter approached a juror and asked how it felt to convict an innocent man. In a possible overreaction, the judge ordered all witnesses and observers out of the courtroom. 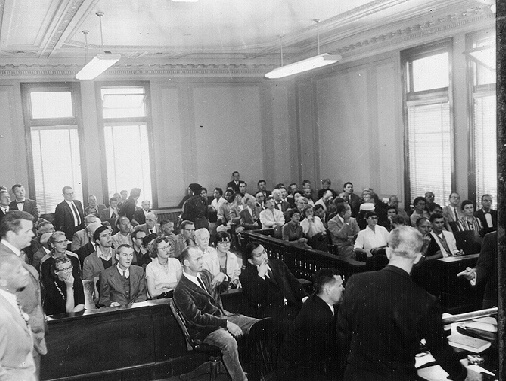 The punishment phase of the trial proceeded with witnesses waiting outside the courtroom until time to testify. Peyronel appealed, arguing a violation of his constitutional right to a public trial. No one disputed that right. However, the State argued that because Peyronel did not ask the trial judge to do anything and did not inform the judge that he planned to appeal based on an alleged Sixth Amendment violation, Peyronel had forfeited his public-trial right. The Court first considered whether the right to a public trial is mandatory (must be enforced no matter what a defendant says or does), waivable (can be knowingly and intentionally relinquished by a defendant), or forfeitable (can be given up if a defendant does not insist on enforcement). The court briefly reviewed cases from other jurisdictions and concluded the public-trial right could be forfeited. The Court then considered whether Peyronel had forfeited his public-trial right. Although Peyronel objected to the trial judge’s order to clear the courtroom, the CCA did not consider that to be the equivalent of asserting a violation of his constitutional right. The court said there was no “magic language” Peyronel needed to use to assert the violation, but he at least had to specifically state what he wanted the trial judge to do and upon what grounds his request was based. The CCA determined Peyronel did not meet that standard and, as a result, forfeited his right to a public trial. In a strong dissent, Justice Johnson noted that the prosecutor’s request was just to exclude female family members from the courtroom and Peyronel objected, arguing that such a broad action would remove his wife and daughter. Justice Johnson said that objection was sufficient on its own and it also implied Peyronel’s objection to a complete exclusion. Justice Johnson compared the situation to buying an appliance. If a customer has a two-foot-wide space for an appliance and a seller tries to sell an appliance that is two inches wider, the customer will object. By objecting to that appliance, Justice Johnson said, the customer is also making it clear that he would object to the seller substituting an appliance even wider than two feet, two inches. According to Justice Johnston, when Peyronel objected to the exclusion of female members of his family because it was too broad to accomplish the intended purpose, that also constituted an objection to the exclusion of even more people and made it clear to the trial judge that his order to clear the courtroom was too broad as well. Peyronel v. Texas is interesting in at least two respects. Anecdotally, it seems odd that neither the majority nor the dissenters were troubled at all by the fact that the trial judge went beyond the prosecutor’s request and ordered everyone from the courtroom rather than trying to identify the woman who was the object of concern and removing her. More fundamentally, the principle that some constitutional rights can be waived is well established; for example, Miranda rights are frequently waived. But, the court’s opinion suggests that a defendant can lose his constitutionally protected public-trial right by not speaking up, or, presumably, by speaking up but not speaking loudly or eloquently enough. The Sixth Amendment of the United States Constitution guarantees an accused the right to a public trial in all criminal prosecutions. Appellant Conrad Lilly, was charged with two counts of assault on a public servant while he was in prison. The trial court sua sponte convened his trial in the prison-chapel courtroom in lieu of the local courthouse. Appellant objected to his case being tried in the prison chapel and moved for a change of venue, arguing that his 6th Amendment right to a public trial was violated because “prisons are not open to the public and are more like military zones than public places.” The trial court denied his change of venue request and the 11th Court of Appeals (Eastland) affirmed. Unaccompanied minors and people released from confinement within the last two years are prohibited from entering the prison at all. [E]ven though many of the individual admittance policies in this case would not, standing alone, necessarily amount to a per se closure, the cumulative effect of the Unit’s policies undermines our confidence that every reasonable measure was taken to accommodate public attendance at Appellant’s trial. 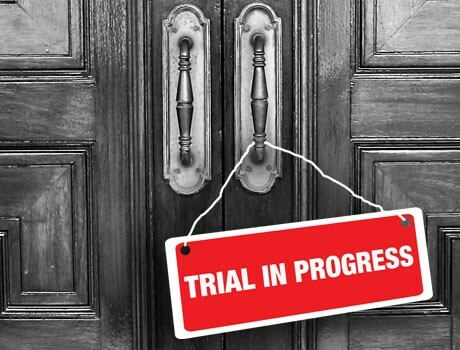 Having found that Appellant’s trial was indeed closed to the public, the CCA further held that the trial court failed to make findings of fact on the record that justified closing Appellant’s trial. Because Appellant’s 6th Amendment right to a public trial was violated, the CCA reversed the judgments of the court of appeals and the trial court, and remanded the case for a new trial. The CCA refrained from considering or commenting on whether prison trials are inherently violative of the 6th Amendment, noting that there could be occasions where a “public trial” is held in a prison.